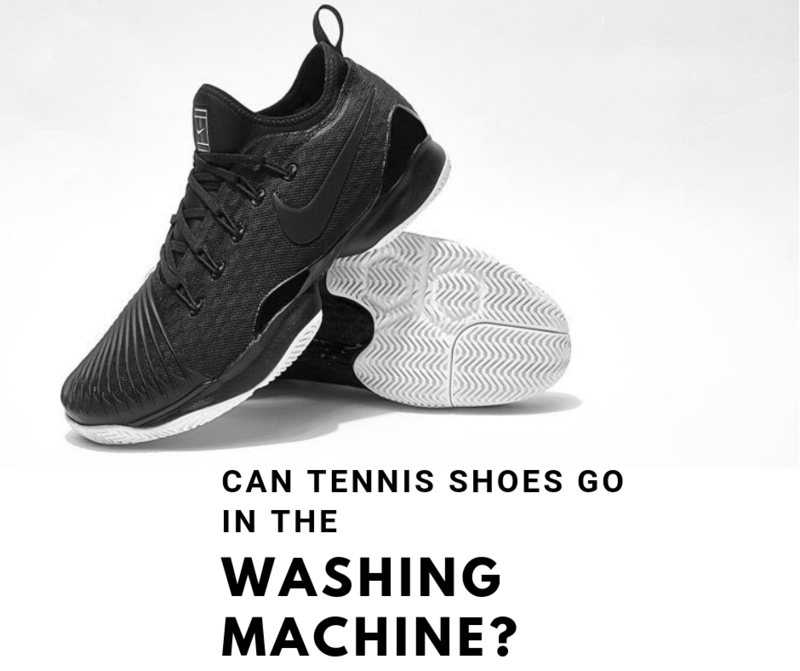 » Can Tennis Shoes Go in the Washing Machine? Pickleball Paddles: A helpful guide with feedback from a big-time paddle company and 3 5.0 Level Pros. Can Tennis Shoes Go in the Washing Machine? Can tennis shoes go in the washing machine? In short, yes! However, you will want to consider the potential negative impact washing your tennis shoes in the washing machine may have. And for best results, you will wash your tennis shoes a little differently than your regular wash. Whether it be for the shear fun of it, the competitive nature or the many health benefits, millions of people around the world flock to paddle or racquet sports like pickleball and tennis. Besides a racquet or paddle, your court shoes (or tennis shoes) are one very important piece of equipment you will need to play these sports. With lots of quick foot movement (especially laterally), your tennis shoes will be tested to the max. Choosing good quality court shoes is very important and trust me, worth the investment. Once you spend the money and break in a new pair of tennis shoes, you are going to want to make them last. Unfortunately, the more you wear them, the more sweaty and stinky they can get. So what can we do to keep our tennis shoes smelling, looking and functioning at their best for as long as possible? Over time, I've developed some tried and true methods to get your best court shoes clean. IMPORTANT: You'll want to clean your tennis shoes in a gentle way that doesn’t break down the shoe material. In the end, it's a personal choice, with pros and cons, as to whether or not you toss those sneakers in the washing machine! I'll break it all down for you so you weigh your options. What Are The Risks To Washing My Shoes In The Washing Machine? Washing your tennis shoes in the washing machine may cause them to break down faster. It is recommended that you replace your court shoes about every 6 months. 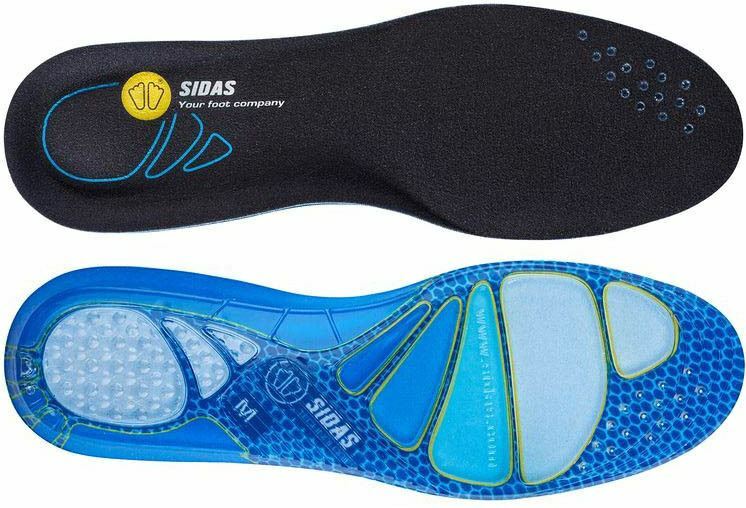 The reason for this is that the materials in the shoe begins to break down and they will not be as supportive for your feet. This can lead to increased chance of injury. Putting your shoes in the washing machine will speed up the break down process. So, you may find that you need to replace your court shoes even more often. While they may look more clean after a run through the washing machine, they will also begin to look more worn and faded. It can be very easy to make a new pair of court shoes look old worn out. It is possible, even if you wash your tennis shoes in cold water (as recommended), that they will change shape or size slightly through the washing process. You could risk having your court shoes fit and feel a bit different the next time you wear them, potentially causing some discomfort during your next match. What Are The Benefits To Washing Your Tennis Shoes In The Washing Machine? Now let's give you the positives. The two most meaningful "pros" to washing your tennis shoes in the washing machine (in my opinion) is the ability to remove the "funk" or smell we get from athletic footwear AND, how much time it saves me. I'm not a big fan of wiping my shoes meticulously by hand if I don't have to. And it doesn't matter how much I "air out" my court shoes, the smell always seems to return with a vengeance. You will get those court shoes completely clean, dissolving discolorations, stains and dirty residue. Leaving dried on dirt or mud can actually cause expansion or tears in the materials of the shoe, and have adverse effects on the durability. So keeping them squeaky clean may prolong their life. Throwing your tennis shoes into the washing machine can be less work and less time consuming than cleaning them by hand. Which means more time for the fun stuff! The less time I have to spend cleaning my equipment, the better. And my tennis shoes are definitely a piece of my equipment. Letting your court shoes run through the washing machine cycle will be more effective at removing odor than cleaning them by hand. Nothing beats a good washing machine cycle when it comes to deodorizing tennis apparel - and tennis shoes are no different. I take a lot of pride in giving you the best options when it comes to quality court shoes. If you're a Pickleball lover, I'd recommend this article for the best shoes for pickleball. Whether its indoor or outdoor, we've laid out all the best options for you. If you're a tennis player and just so happen to have flat feet or low arches, we've put together the definitive guide to the best court shoes for flat feet. 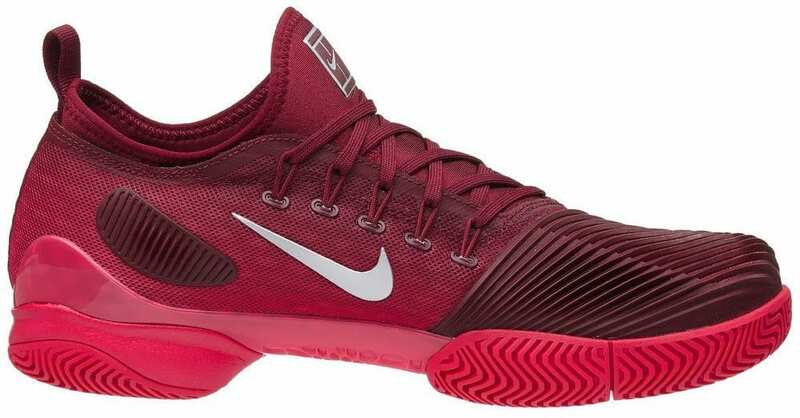 Here are some of our most recommended and most purchased brands of tennis shoes for playing Tennis or Pickleball, and a bit about the materials they are made of. Why am I providing this info to you? Well, it's not always easy to find the materials listed for something as simple as tennis shoes. And, based on the materials a shoe manufacturer chooses to use, the washing instructions can be different. QUICK TIP: Based on the materials and fabric used, washing instructions could change. Always check to see what fabrics you're working with before throwing them in. Asics: Synthetic Mesh Upper, Memory Foam Midsole, and rubber outsole. Nike: Synthetic breathable Mesh Upper, Phylon Midsole, rubber outsole. New Balance: Synthetic Leather and Mesh Upper, Abzorb foam midsole and rubber outsole. Adidas: Synthetic Mesh Upper, Adiprene Mold insole and rubber outsole. Babolat: Mesh Upper made from polyamide fibers and Kevlar, Memory Foam like insole and rubber outsole. Wilson: Synthetic Leather and Mesh Upper with rubber Outsole. This is just a small sampling of what materials are used in some of the best court shoes on the market today. Luckily, most are made of synthetics and rubber. This is good because these materials tend to do better when washed. QUICK TIP: If your shoes are made of leather or suede, even partially, it is not recommended to put them in the washing machine. Some brands and styles of tennis shoes will have washing instructions on the tag. Next let's talk about the actual process for putting your expensive court shoes in the actual washing machine. Before you just take your shoes off and throw them in with some Tide, read the instructions below carefully. This is different than washing your tee shirt and shorts that you played in. Check the tag of your tennis shoes to see if they are recommended for machine wash. Also, examine what materials they are made of. Again, any animal by products (leather and suede) are not good candidates for machine wash. Remove shoe laces and place them in a zippered mesh laundry bag. Using a sponge, wipe the shoes as clean as possible, removing gunk and mud from the bottoms of the shoes, etc. A sneaker cleaner brush is great to scrape mud out of all the little cracks and crevices from the soles of your shoe (an old toothbrush will work great as well). Add your shoes to the washing machine. It is a great idea to add five or so junk towels in with the shoes as well. This will prevent the shoes from banging around as loudly. I learned that the hard way! Add only a small amount of detergent (approximately 1/4 the typical amount). Use a cold, delicate cycle to wash the shoes. Remove the shoes promptly and let them air dry. Putting tennis shoes in the dryer is NOT recommended. You may however set them in front of a fan to decrease dry time. What Cycle Should I Wash My Shoes On? If you do decide to wash your tennis shoes in the washing machine, it is important to wash them the least damaging way possible. First, make sure it is a cold cycle for both the wash and rinse. Secondly, use the most delicate cycle that your washing machine has. If you aren’t sure which is the most delicate, consult your owners manual (one may be available online too). f you tend to have sweaty, smell feet, rest assured it’s very common. It’s also unfortunate when that stink attaches itself to our very nice and costly tennis shoes. Here are some ways you may help prevent your athletic shoes from getting stinky in the first place. Always wear socks. Lightweight and breathable are best. There are some great athletic socks made for intense exercise, and those may help to prevent your feet from getting too hot during your next Tennis or pickleball match. Use odor-fighting inserts. This pair, from Dr. Scholl’s contains charcoal which is great at absorbing odor. After using your tennis shoes, let them air out. Pull the inserts out and separate them from the shoe, and loosen the laces so that air can circulate through them. Combine equal parts water and rubbing alcohol in a small spray bottle. Lightly mist the inside of the shoes with the rubbing alcohol to kill odor causing bacteria. After the shoes and inserts have had some time to dry from sweat and the rubbing alcohol, sprinkle them with baking soda. This helps absorb moistures and odors. Before wearing again, shake off the baking soda into the garbage can. It’s very common for tennis shoes to get smelly from use during exercise (even if you are using preventative measures). Here are some great methods for removing odor from tennis shoes. Pull the inserts out of your shoes and sprinkle both the inserts and insides of the shoes with baking soda. Let them sit overnight if possible. Again, this will help absorb any odor-causing moisture and neutralize the smell of the shoes. Once you are ready to use the shoes again, shake off the baking soda into the garbage. If you want something less messy, stick some charcoal deodorizing bags into your tennis shoes. These are reusable for up to 2 years, all natural, and great at soaking up odors, resulting in fresher smelling shoes. If you've never used these before, simply place them in your shoes when you're not wearing them and let the bag do it's thing! That's it! You can even place these in your tennis bag (or anywhere) to help deodorize that too. Drop in some essential oils. You can put a couple drops right inside the shoes, or add the essential oils to baking soda first and then sprinkle in. Some of the best odor neutralizing essential oils are tea tree, lemongrass, peppermint and lavender. This may sound crazy, but trust me, IT WORKS! If you decide not to use the washing machine to clean your tennis shoes, here’s an alternative method to get them clean. First - follow the steps above to deodorize your tennis shoes as needed. Create a paste with equal parts baking soda and laundry detergent (clear laundry detergent is best, because colored detergent may stain the mesh material if it doesn’t get fully rinsed out). Using a toothbrush or sneaker cleaner brush, scrub the white rubbers soles and scrub out any dirt from the cracks and crevices. You can also lightly scrub any other parts of the shoe that are dirty, using the smallest amount of baking soda paste as possible. If needed, you can remove the laces, spot treat any stains and wash those in the washing machine inside a pillowcase or zippered mesh laundry bag. The laces easy to wash in any washing machine. With a wet sponge, wipe away the baking soda paste from the soles. Rinse the sponge and repeat as necessary. This method will keep the shoes mostly dry (as opposed to running them under a faucet of water). Allow your tennis shoes to air dry. Related Question: Can I Put My Tennis Shoes In The Dryer? The experts agree, it is not recommended to put tennis shoes in the dryer. They even advise against leaving your tennis shoes out in the hot sun to dry. The heat (from the dryer and sun alike) can cause permanent shrinkage of the materials used to make most court shoes. One idea to help your shoes dry faster is to stuff them with newspaper or absorbent towels and leave them in overnight. This will help absorb the moisture inside the shoe. If you are an avid tennis or pickleball player and need your court shoes on a daily basis, you might want to consider purchasing two pairs, so that you can have an extra pair on hand when you need to wash and dry one pair. Hopefully this information has been helpful in keeping your tennis shoes in tip top shape. I know just how important it is to have the right pair of tennis shoes for your pickleball or tennis match. And it's equally as important to take care of them and prevent them from getting too smelly. What’s your preferred method of cleaning your tennis shoes? Let us know in the comments below. TheVolleyLlama is a participant in the Amazon Services LLC Associates Program.